In October last year, Square-Enix was the first of the old giants of video game publishing to dip their toe into the murky waters of crowd-funding. 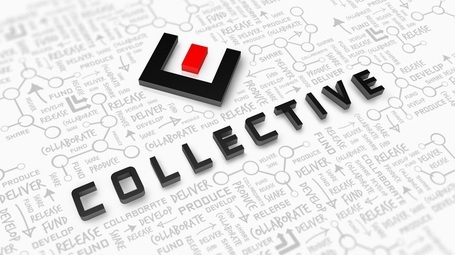 Their programme titled “The Collective” is, in their words, intended to give consumers a chance “to shape games development and champion ideas that you’d like to become reality”. Developers can participate in the programme either with an original IP which they retain ownership of, or with a pitch for a game using an existing S-E IP. Full details of the programme can be read here, but it seems to me that there’s some pretty significant scope for things to go wrong. The short version of how the programme works is that developers pitch their games to the public on The Collective website, then after a round of public voting, Square-Enix hand pick pitches that they want to continue to be in the programme. Then developers launch a crowd-funding campaign on indiegogo, and Square-Enix help promote this campaign. In exchange, Square-Enix take a percentage of the funds raised. Then during development, Square-Enix perform QA, and will help with distribution once development is complete. They then take a 10% cut of all revenue generated by the game. Firstly, Square-Enix are giving customers absolutely no assurances that they will actually receive a completed game. If you contribute a significant amount to one of the indiegogo campaigns that Square-Enix are backing, but then the developer (for any reason) fails to produce a shippable product, what happens? Looking at the terms and conditions, it seems to me that Square-Enix would get to keep their share of the revenue, but customers would be left hanging. There’s dozens of reasons why even with the purist of intentions, a developer might fail to complete a game. That’s just a reality of video games development. Beyond that, not all individuals will have the purist of intentions. What’s to stop someone pitching a game to The Collective, getting endorsement from Square-Enix, and then doing a runner once they’ve got the money from the crowd-funding campaign? Supposedly Square-Enix are reviewing games when they are submitted to The Collective, but it seems to me that they aren’t exercising a great deal of scrutiny. The most recent game added to The Collective is “REalM“, and just spending a few minutes looking at the pitch raised a few questions from me. It appears that the team have been working on the game since at least November last year, and they’re promising that the game will be out in 2014. By the time they’ve passed through The Collective, and their crowd-funding campaign has completed, they’ll have about 6 months to meet their self imposed release schedule. Shouldn’t they probably have some gameplay footage to show at this point? Their pitch looks a lot like all they’ve produced is some art, some music, and some ideas for a game. Nothing solid whatsoever. According to the game’s website, it’s a collaboration between two teams. Arbor Sheep & Authentic Illusions. As far as I can tell, neither of these two teams have shipped any video games whatsoever. Authentic Illusions do seem to have another ongoing project, which has it’s own kickstarter. At time of writing, they have received $5,606 from a total of 19 backers. That seemed a little suspicious to me, so I took a closer look at their kickstarter metrics. That’s a rather atypical pattern for a kickstarter campaign. It looks like they had a handful of very large backers on day one, then support almost entirely dried up. There’s a few potential explanations for this, but I’d suggest that it’s Square-Enix’s job to scrutinise the developers who they are partnering with. If they are doing less research than me spending a few minutes clicking on some links, that’s cause for concern. With recent developments over at indiegogo, where they are seemingly trying to take less responsibility for policing the site for frauds, and with Square-Enix not offering any protection for their customers against the same, I’d strongly encourage customers to exercise caution before handing over your money. It seems like Square-Enix are trying to mitigate as much risk as possible by asking their customers to take on the risk instead. I personally don’t think it’s an attractive option for most developers, and I certainly don’t think it represents an attractive proposition to most customers. I don’t understand why they aren’t just approaching developers with a solid track record, and offering to bankroll reboots of their otherwise stale old IP. I think there is the core of a good idea buried in The Collective, but the current execution is way off the mark, and it makes Square-Enix look rather out of touch with reality. They’ve set themselves up to potentially profit from developers selling nothing but smoke and mirrors, and if a publisher isn’t going to carry the burden of risk for game development, what exactly is the point of a publisher? Update: Following the publication of this post, Square-Enix’s Phil Elliott contacted me to discuss the programme. You can read what he had to say here. I wholeheartedly agree with your thoughts on this matter. I personally like the idea of crowdfunding and have backed a few projects myself on kickstarter. I think that crowdfunding can help indie developers to release new and unique games to a market saturated with games that rehash the same tired ideas over and over again. As we all know, publishers don’t really like supporting games that are different, which means that some of these games would never see the light of day without some extra funding (funding they can’t get with big publishers). But those same publishers should not get involved in the crowdfunding scene. As you said, things get ugly when these publishers use crowdfunding as an excuse to reduce the risks that are involved with publishing unique indie games. Also, Square Enix seems to want part of the crowdfunded money without ever investing into the projects themselves (except for some marketing, which is vague in itself). That’s just mindboggling. If Square Enix doesn’t want to risk losing money on indie projects, then they should just stay away from the indie scene in the first place. “Money you throw at Kickstarter/IndieGogo is NOT A PRE-ORDER – all you’re guaranteed is whatever instant rewards may be offered – anything else is pie-in-the-sky – you are NOT INVESTING – you are giving someone money in the hope they make a game – you should do a BIT of research and see if what someone is claiming is remotely likely to happen”. The most famous crowdfunding failure – ‘CLANG’ – failed all of those tests – what they were claiming wasn’t possible to do but people saw a clever video and went ‘woo’ – same with the IndieGogo “calorie measuring bracelet” – it’s scientifically impossible and yet people have thrown almost $1m at it – stupid people. As for Squeenix’s “10%” – they are offering to promote your campaign (not your game) and so that seems reasonable to me – in the same way that the developer spending funds on development tools or contracted-out work is reasonable.